All I can say is WOW and about bloody time. I saw this film at The Barbican back in the early 80's. 5.5 hours of black and white amazingness. The BFI has announced details of a new chapter in the remarkable history of the 1927 French film, which was feared lost until the film historian Kevin Brownlow set about piecing it together by tracking down surviving prints more than 60 years ago. The film will be shown in cinemas, on DVD and will become available on the BFI Player this autumn, accompanied by Carl Davis’s score, which he wrote for the then-partially restored film’s screening at the London Film Festival in 1980. 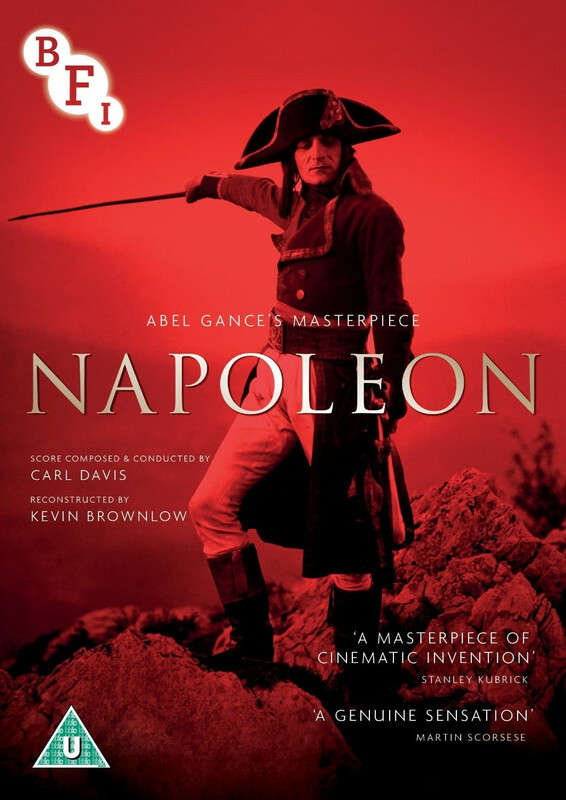 In November the film, which dramatises Napoleon’s youth and early career, will be screened at the Festival Hall with a live performance of Davis’s score – the longest ever composed for a silent film – by the Philharmonia Orchestra. Mine is pre ordered for November 21st release. If you only buy one film this year (decade? century?) make it this film. Been meaning to post a pic for the last month. Great remastering of a 'must see' film.